It can be tempting to make New Year’s resolutions for everything we hope to accomplish. As most of us know, resolutions do not always work out. A better approach is to make lifestyle changes that will result in dental health. Look at the foods you consume every day. When you think of a healthy diet, think in terms of your dental health. Avoid products that harm your teeth, and emphasize good nutrition. If you occasionally neglect your oral care routines, start making changes today. Take time to brush and floss at least twice each day, in the morning and at bedtime. For better results, develop the habit of brushing after every meal. Your teeth should be cleaned professionally at least once every six months. Your next appointment is also an opportunity to ask about dental procedures. Whether you need braces, implants, or can benefit from teeth whitening, talk to your dentist during your next visit. One of the most useful products for dental safety is a mouth guard. Whether you need a mouth guard to protect your teeth against grinding at night, or while playing sports, there are different types from which to choose. Discuss this subject with your dentist, so you can avoid oral health problems and injuries. Most people have had at least one experience with a dental emergency. You may have tried home remedies instead of calling the dentist. Home remedies are rarely effective, and do not produce permanent results. From severe toothaches to broken dental appliances, see your dentist for any emergency. 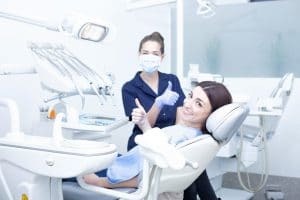 When you incorporate these dental tips into your everyday life, you will be less likely to experience problems. You will have better results than simply making New Year’s resolutions.